2006 is now well and truly here. What have we got to look forward to in terms of gaming pleasures? By the end of the year, Playstation 3 and Nintendo Revolution should both be on general sale, and we already have the Xbox 360 as well as the trusty PC. Leaving aside the as-yet-unreleased next-generation platforms - who knows what will appear on those - we've scoured the globe for the finest titles that the world of videogame entertainment can offer you; some will be highly anticipated and others you may not have even heard of. So, without further ado, I present to you our Most Anticipated 10 games of 2006. Why is it good: The Half-Life story is interesting, involving and mysterious, the graphics are lush and enticing and the daring move to introduce episodic content shows us once again why Valve are still the front runners in game production. Valve are not loaning their franchise out this time - all the work will be coming from their studios, though their lips are pretty sealed over what exactly is going on. It is assumed that you will take on the role of Gordon Freeman once again and this time escape City 17, with Alyx and company at your side. 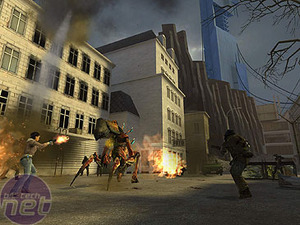 Opposing Force and Blue Shift were both excellent games that expanded the Half-Life franchise and shelf life from a single-player perspective, but neither was ground breaking and it is for that reason that Aftermath is in the coveted tenth spot. 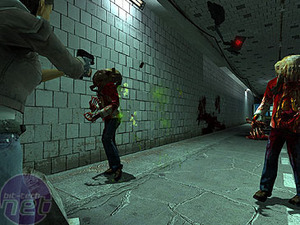 We don’t expect Aftermath to be that similar to those games though - we're thinking of it as Half-Life 2.5; a continuation of the story but not so dramatic as to call it a brand new game. Will we find out if Gordon is time travelling, does the G-Man know the meaning of life, will Gordon finally speak? Hopefully all (or at least a bit) will be revealed in April this year. What could go wrong: Hard to imagine that Valve can put a foot wrong with this franchise. With the brilliant Steam behind them and all the ingredients for success seemingly in place, we imagine everything will go off without a hitch and Valve will have bagged themselves a bona fide winner. 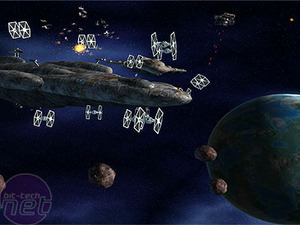 Why is it good: Finally it looks like we are going to get a RTS Star Wars game that is as good as the films deserve. Try your best to forget the diabolical Force Commander of a few years ago and imagine that the team making it also created games such as Command and Conquer: Generals, Civilization 3. Now that we don’t have any new movies to look forward to, if the franchise is to keep making money for Lucas he needs to start churning out top quality games. I don’t feel ashamed to admit that the opportunity to control all of the best parts of the Star Wars universe (including Boba Fett, Han Solo and Chewbacca) is exciting enough to get me practicing my lightsaber swings with my mouse. What could go wrong? Star Wars games have a tendency to promise the galaxy, excuse the pun, and deliver Jar Jar Binks instead. 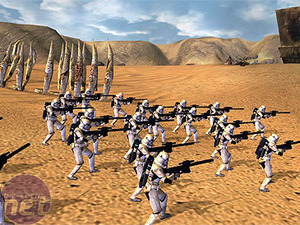 Look at Star Wars Galaxies, Force Commander, the fairly average movie conversion games and Republic Commando. That being said, Star Wars has also delivered some excellent games, few will forget the magnificent X-Wing series. On paper this looks good, but it's hard to judge until we've got our hands on it.